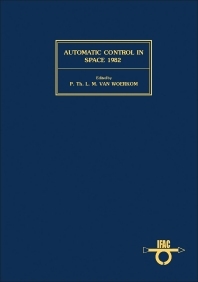 Automatic Control in Space 1982 covers the proceedings of the Ninth IFAC/ESA Symposium. Comprised of 62 chapters, this book covers issues relevant in aerospace, such as engineering, hardware, operations, and theories. This book discusses several topics that concern space explorations, such as L-SAT attitude and orbit control system; methods of dynamic flight control; methods of satellite attitude control using a bias-momentum; and ion sensor signal fluctuations. This text will be of great interest to engineers, researchers, and professionals whose work is in line with aerospace.